We looked at the top 14 Flat Irons and dug through the reviews from 52 of the most popular review sites including New York Times Wirecutter, Influenster, Hair Straightener Lab, ratingle, BestReviews, Good Housekeeping and more. The result is a ranking of the best Flat Irons. Our experts reviewed the top 14 Flat Irons and also dug through the reviews from 52 of the most popular review sites including New York Times Wirecutter, Influenster, Hair Straightener Lab, ratingle, BestReviews, Good Housekeeping and more. The result is a ranking of the best of the best Flat Irons. If you are looking for a well-made styling tool that produces reliable results, the BaBylissPRO is the one to get. Not only is it fairly lightweight and easy to manage, but it does a great job straightening the curliest hair while maintaining even, hot temperatures. DWYM Beauty and Personal Care Experts plus BestReviews, Reviews.com, Hair Straightener Lab. Along with user reviews from Amazon and Walmart.
" True salon-like performance that delivers a smoth, shiny finish. Produces consistent results amonh all hair types." "For such a high-end flat iron, we were disappointed that the Babyliss doesn’t have a precise temperature display like the Bio Ionic. Our testers were confused by the settings, which had numbers going up to 50 vs. actual temperatures." Consumers who have the tendency to forget to shut off appliances will love the KIPOZI Straightening Iron's auto shut-off function. It also heats up quickly and features temperature settings that are easy to customize for different types of hair. DWYM Beauty and Personal Care Experts plus Hair Straightener Lab. Along with user reviews from Amazon.
" The devices contain an auto turn off feature that enables the straightener to go off after 90-minutes hence you don't have to worry in case you forget to turn the Kipozi pro off." "It may not be perfect for straightening wet hair thus make sure your hair is dry before using the Kipozi pro." In addition to an easy-to-read digital display and auto shut-off, the GVP Ceramic Styling Iron offers a slim, 1-inch design that is suitable for short styles. It's also super easy to use and fits nicely in a travel bag. DWYM Beauty and Personal Care Experts plus New York Times Wirecutter, Influenster. Along with user reviews from Amazon.
" LOVE this straightener! It’s wayyyy cheaper than a Chi and does the same exact thing. I love the digital temperature display and that it has an auto-off feature so I never have to worry if I actually turned it off." "The one-year warranty is shorter than most of the warranties on the 10 other flat straighteners we tested; the average warranty was around three years." If you are looking for a flat iron that's packed with features but not a high price tag, the Conair Infinitipro has you covered. A slim design, 30 heat settings, auto shut-off and tourmaline plates are all part of this affordable flat iron's notable feature list. DWYM Beauty and Personal Care Experts plus New York Times Wirecutter, Influenster. Along with user reviews from Amazon and Walmart.
" The plates on the Conair Infiniti Pro grip and style hair just as well as the high-end straighteners, plus you’ll have a very wide range of temperature settings, but it has a short cord." "If you are trying to straighten real curls it just doesn't cut it." We identified the majority of the flat irons available to purchase. 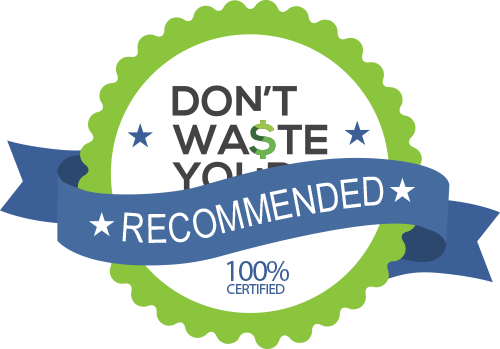 Reviews from our DWYM category experts and analysis of some of the most respected sources including: New York Times Wirecutter, Influenster, Hair Straightener Lab, ratingle, BestReviews. We also incorporate user reviews from the leading retailers including Amazon, Walmart, Target, Sephora. True salon-like performance that delivers a smoth, shiny finish. Produces consistent results amonh all hair types. The Babyliss gets hot quickly and moves through hair fast. This is thanks to its thin, lightweight design and the fact that it stays consistently hot. For such a high-end flat iron, we were disappointed that the Babyliss doesn’t have a precise temperature display like the Bio Ionic. Our testers were confused by the settings, which had numbers going up to 50 vs. actual temperatures. As the plates heat up, the outside gets hot. You might need to use gloves when styling. The plates on the Conair Infiniti Pro grip and style hair just as well as the high-end straighteners, plus you’ll have a very wide range of temperature settings, but it has a short cord. If you are trying to straighten real curls it just doesn't cut it. Regardless of the hair type and texture they were born with, most people have attempted to alter the appearance of their locks at one time or another throughout their lives. Chemical perms and straighteners create results that last, but can be quite harsh and damaging to hair shafts and ends. That’s why many people opt to use hair styling tools to achieve the looks they desire. The flat iron, also referred to as a straightening iron, is one of those tools that can drastically change the look and texture of naturally wavy or curly hair. In a family of gadgets that includes hair dryers, curling irons and hot rollers, flat irons have an important place. That’s because they are great at what they are designed to do — giving all types of hair a straight, sleek appearance while smoothing out the shafts of individual hairs for a uniform, stylish look. Flat irons are heated styling tools constructed with two metal or ceramic plates that open and close around strands of hair. Pulling the tool down the strands smooths and straightens the hair. In other words, flat irons are necessary when it comes to creating many of today’s straight, flowing ‘dos. Over the decades, stick-straight hairstyles have come in and out of fashion. But as styles come and go, so does the desire to vary an individual hairstyle, from curly to straight whenever the feeling hits. The technology of flat irons makes it possible to sport your curls one day and have straight hair the next with minimal effort. It’s the combination of electric-powered heat and the plates that make it possible for a flat iron to alter the appearance of hair that’s not naturally straight. However, it’s the plate material that helps protect hair from damage from the heat, as well as reduce frizz and flyaway strands. Many brands have plates that are either made entirely of ceramic or of ceramic-coated metal, like the GVP Sally Beauty Digital Ceramic Flat Iron. The advantage of the ceramic is that it produces powerful heat and negative ions that smooth hair while styling it, giving it a shiny finish. On the downside, plates that are made entirely of ceramic are prone to breakage, while ceramic-coated plates may peel over time. Additionally, they don’t do the best job straightening very curly hair. Arguably the best type of flat iron for very thick, curly and frizzy hair is one that has plates that are coated with titanium. They too produce negative ions that help smooth and protect delicate hair shafts, but also heat up extremely fast to effectively straightener hair. Titanium models are also durable and designed to last, like the BaBylissPRO and KIPOZI straightening irons, which are top choices for both performance and longevity. Titanium isn’t the only mineral that’s used in making flat iron plates that help reduce damage to the hair. Some plates, like those on Conair’s InfinityPro, are also coated in tiny crushed pieces of tourmaline that makes them smooth and durable. In turn, the addition of tourmaline, which can be found on ceramic and titanium plates, increases the output of negative ions and give hair even more shine. Flat irons also come in a variety of sizes, from 1 inch to 2 1/2 inches in width. While thin plates work well on all hair lengths, those that are thicker are ideal for transforming long hair into sleek strands. Achieving the sleek looks you love is easy using a flat iron, but the beginning of the technology dates back to more than 140 years ago. In 1872, Marcel Grateau used heated rods in attempts to straighten her hair, which is thought to be the earliest example of channeling heat to alter the appearance of curly hair. Various patents for hair-straightening devices were issued over the years, including one in 1912 to Lady Jennifer Bell Schofield, who invented a heated hair styling tool that closely resembled today’s flat irons. However, before modern flat irons became readily available, women often resorted to using standard clothes irons to smooth out their curls — a process that’s definitely not safe and one that you certainly don’t have to resort to today, thanks to the numerous modern flat irons that are available on the market. Do you plan to take your flat iron along when traveling? A model that has around 1- to 1 1/2-inch plates will work well for your needs without taking up too much space in your bag. If you are new to using a flat iron, it can take a little practice to get used to it. Try practicing with your new hair styling tool while it’s turned off and cool first. This will give you a feel for how to use the flat iron and help prevent accidental burns. Did you know that flat irons can also be used on straight hair to create waves and curls? Try twisting the tool in a back-and-forth motion down strands of hair for waves or wrapping strands around it like you would a curling iron to create soft curls. The majority of flat irons have variable heat controls that allow you to select the best temperature for your hair type as well as the style you want to achieve. For hair that’s very curly or difficult to straighten, the highest temperature, usually around 450 degrees Fahrenheit, is the best choice. For best results, don’t try to place very thick strands of hair between the plates of your flat iron at once. Typically, dividing strands into sections of about 1 to 2 inches works best. Today’s flat irons do a decent job protecting hair from heat damage, thanks to ceramic, titanium and tourmaline technology. However, frequent use can still take a toll on hair, making it prone to breakage. Using a moisturizing shampoo and conditioner will help keep your hair looking its best. Some flat irons are available at very low prices, but remember that you may not save money in the long run if you buy a cheap tool. That’s because inexpensive flat irons are more likely to have finishes that peel, may not produce effective heat and are more likely to damage hair. For the Flat Iron category, we analyzed 52 of the most popular reviews including reviews from New York Times Wirecutter, Influenster, Hair Straightener Lab, ratingle, BestReviews, Good Housekeeping and more. The result is a ranking of the best Flat Irons.